The combined structure of two players, a top-flight mixer and powerful performance features means you can DJ with this device on its own. 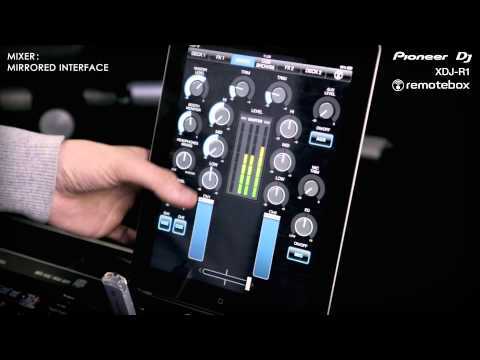 An industry first, you can control the XDJ-R1 wirelessly from an iPad, iPhone or iPod touch using our remotebox app. DJs can connect to the XDJ-R1’s own wireless LAN and use their touch screen to intuitively browse music, mix and mash up tracks – all from outside the booth. The XDJ-R1 plays from a multitude of sources, such as CD, USB, PC, MAC. Use remotebox to control your controller. You can browse your rekordbox device, load tracks, engage and control the XDJ-R1 FX and parameters, control the decks, loop and cue. Screen: Screen supporting display of music in English.